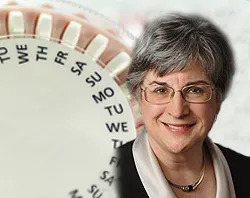 The Church’s teaching on contraception is not just a doctrine that states what not to do. Many people would benefit from knowing that it is a doctrine that explains how extraordinarily important is the act of having children. One reason that modern culture has trouble understanding the truth of Humanae Vitae is that it fails to appreciate what a profound good children are. It is true that most parents love their children beyond belief and frequently even acknowledge that they are great gifts from God. Many parents will testify that when they held their baby for the first time, they experience a rush of love matched by little else. But they do not always realize that in having children they are “co-creators” with God. For more information about NFP, including DFW NFP-only medical providers, click here. Natural Family Planning Awareness Week is a national educational campaign scheduled to highlight the anniversary of the papal encyclical Humanae Vitae (July 25) which articulates Catholic beliefs about human sexuality, conjugal love and responsible parenthood. The dates also mark the feast of Saints Joachim and Anne (July 26), the parents of the Blessed Mother. For further information and resources, click here. Sponsored by the U.S. Conference of Catholic Bishops. or call 972-267-LIFE (5433) to let us know if you're coming. Please bring a dish to share -- and serving utensil. Beverages and paper goods will be provided. Please help spread the word to anyone you know who traveled from North Texas to Austin – by bus, carpooling, or on their own. Thanks! The Dioceses of Dallas and Fort Worth are organizing the Third Hispanic Congress of the Americas for Respect Life & Evangelization with the theme: “The Year of Faith: What must we do to do the work of God?” The Congress is designed to build important bridges between defenders of life in the United States and Spanish-speaking countries of our region. Congress speakers include Archbishop Gustavo García-Siller of San Antonio, Bishop Daniel Flores of Brownsville, and Bishop Jaime Soto of Sacramento, as well as experts on issues of life, family and bioethics. Opening and Closing Masses will be celebrated by Cardinal Séan O'Malley of Boston and Cardinal Daniel DiNardo of Galveston-Houston. Tickets are $30 for adults, $20 for youth, and religious and children under 12 are free. For more information and registration, visit congresohispano2013.org or contact 972-262-5137 x 23. 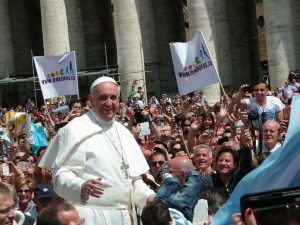 Back on his home continent Pope Francis, who refers to himself as the Bishop of Rome, quickly defined the importance of his first international journey and the World Youth Day. **Bishop Farrell encourages us to follow our local group’s WYD experience at www.catholicyoungadultsofdallas.org/wyd2013. The Planned Parenthood abortion business must repay $1.4 million dollars in Texas after it was found to have participated in a massive Medicaid fraud scheme. The CPLC depends on friends like you to partner with us to save lives. Please consider making a donation to support our work. Thank you and God bless you! All together, let us build a culture of life! For more information, call the CPLC at 972-267-LIFE (5433), or visit our web site: www.prolifedallas.org. This message is brought to you by the Catholic Pro-Life Committee, the Respect Life Ministry of the Diocese of Dallas. The CPLC is a 501(c)(3) non-profit organization. Tax-deductible donations to support the life-saving work of the CPLC may be mailed to: CPLC, P. O. Box 59852, Dallas, TX 75229, or make a secure donation online at www.prolifedallas.org/pages/donations. with your name, contact information and e-mail address and the word SUBSCRIBE on separate lines in the body of the e-mail message.